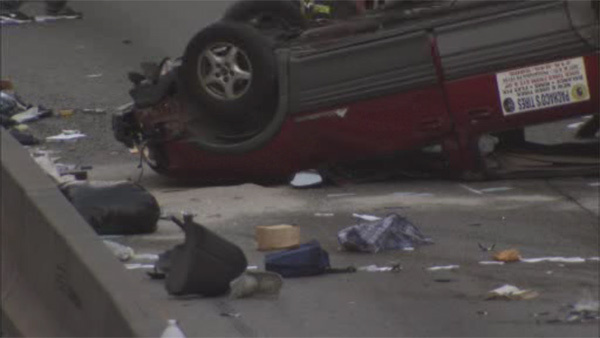 EAST FALLS (WPVI) -- Police are investigating a crash on the Roosevelt Boulevard extension in Philadelphia's East Falls section. The crash occurred around 8 p.m. Saturday on the extension northbound, just North of Scotts lane. Officials say a 58-year-old man lost control of his vehicle and flipped over. He was taken to Temple University Hospital with serious head injuries.